A new take on a Caprese salad that makes it into a full meal! 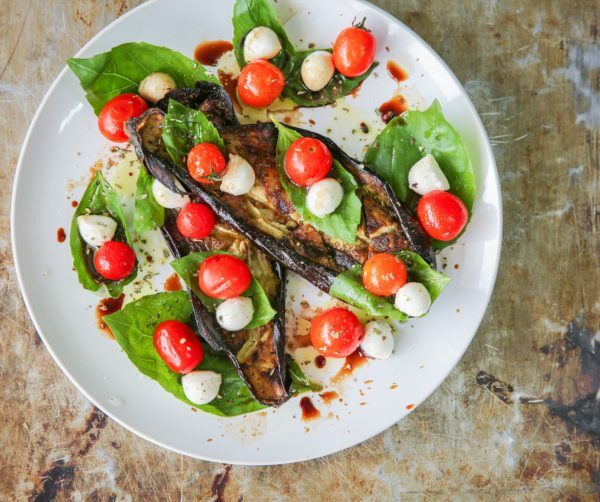 I was a little skeptical at first that the roasted eggplant would suffice as the thing you usually eat your Caprese salad with like crackers or sometimes pasta, but it totally worked! I had even brought crackers to the table with me just in case, but I didn’t even look at the bag. The eggplant added another level of flavors and textures to this already amazing salad combination all the while keeping it really healthy! Cut the eggplant in half and crosshatch each half (make diagonal lines in both directions to create diamonds). Drizzle olive oil and sprinkle salt and pepper on both sides of the eggplant, smearing it so it coats everything. 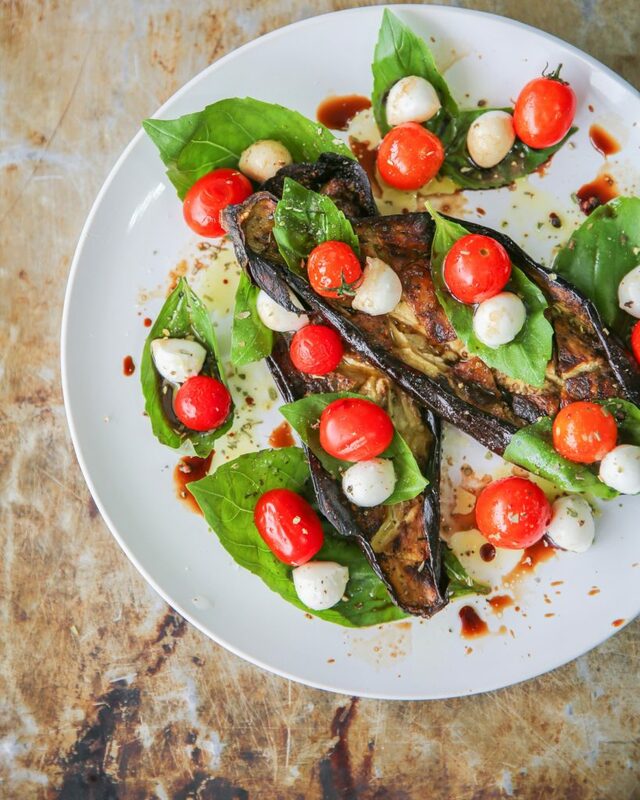 Place the eggplants flesh side down on a parchment-lined baking sheet and place in the oven for 15 minutes. Turn over and bake for another 5 minutes, until the flesh is creamy.